ASTM A587 Carbon Steel Pipes that we manufacture, export and supply are extensively demanded in various industries. 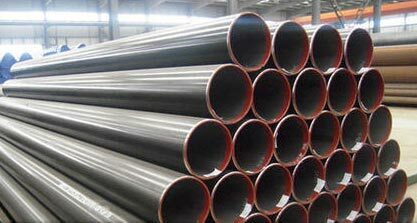 Our Carbon Steel Pipes are acknowledged for their impressive attributes like high resistance to corrosion, excellent finish and optimum strength. We make available these Carbon Steel Pipes in different lengths and thicknesses to suit the exact requirement of buyers. Moreover, we offer these pipes in bulk quantities and at inexpensive rates.